Drivers hit 210 at Pocono...and will Penske buy into Roush-Yates Engines? New asphalt, and Greg Biffle predicts 210 mph drafts here on the long frontstretch. And the stock car tour leader says at these speeds turn one can get very interesting very quickly. "I just hope everyone gets a chance to get down on the apron down in turn one, like I just did," Biffle says with a wry grin. "If you get down there, the other guys are in for a rude awakening, because you're going back up the track. It's a pretty rough transition." Speeds continue to increase with practice laps, and Friday was the third day of practicing at the just repaved 2-1/2-mile speedway. However the more practice drivers run here, the more questions they have. It's looking more and more like Sunday's Pocono 400 – a hundred miles shorter now – could well become another fuel mileage race. And this track may be the worst on the tour for any driver running out of fuel, because coasting around the track back to pit road is very iffy: "If you run out going into turn one, you can make it back around," Martin Truex Jr. says. "But if you run out coming off turn three….."
The Roger Penske—Jack Roush dealing for 2013 is still being kept well hidden by both sides. Penske, after 10 years with Dodge, is switching to Fords at the end of the season, and what Penske will do for engines has been a big question in the NASCAR garage. Neither man has said much about how their talks have gone. Roush has said he's willing to sell engines to Penske. But then Penske has his own engine operation, 80-men strong. The sense has been that Penske and Roush will likely be more competitors in 2013 than tight Ford teammates. And following that, it would seem unlikely that Penske would be willing to or interested in buying engines from such a powerful competitor. -- the kicker could be that Penske might want to buy a major share of the entire Roush-Yates engine operation. Roush-Yates-Penske engines? With some Ilmor stuff too, maybe. A note to this Penske-Ford deal: if Penske really wanted to do his own Ford engine deal, it might be a heck of a challenge to find all the right parts and pieces….and to buy a big stockpile of those parts…not to mention doing all the R&D to make sure they're the right parts and pieces. Maybe McLaren could be involved somewhere here? Unclear so far. Speculation has been for several weeks that Indy-car star Michael Andretti is mulling a NASCAR Sprint Cup venture for 2013 as a Dodge team owner. If so, Andretti could certainly find plenty of good crewmen and potential crew chiefs, as many NASCAR veterans have been sidelined by the sluggish economy lately. Try men like Bobby Hutchens, Mark McArdle, Kevin Hamlin for starters. Andretti has been branching out in race promotions too…. Finding drivers for a NASCAR-Dodge team of course would not be a big problem. 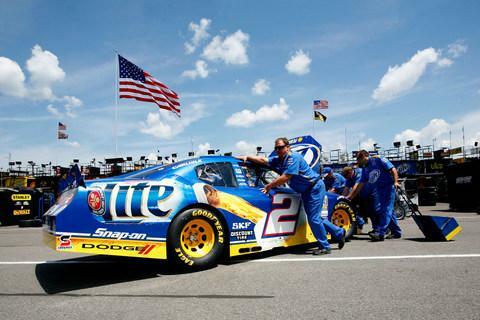 If Penske does turn his engine operation over to Dodge, that would solve a major issue. However, there is more to it all – while much of the talk about the 2013 NASCARs has been about the bodies, which are to have more 'styling cues' from real street machines, the 2013 chassis will be more important for crews to deal with. If a new team has to crank up a whole new chassis department, with all the equipment that involves, it is getting very late in the day. A quick, easy solution, obviously, is for someone to buy the now idled Red Bull shop and equipment, which, remember, is winning stuff, Kasey Kahne at Phoenix last fall. The Red Bull stuff is still owned by Austria's Dietrich Mateschitz, who closed the doors last fall. Another possibly significant issue this summer could be Matt Kenseth, who is apparently in his contract renegotiation season with team owner Roush. It's all but inconceivable that Kenseth would leave Roush, the man who gave the Wisconsin driver his big break in 1998. Roush has said Kenseth will always have a ride with him. 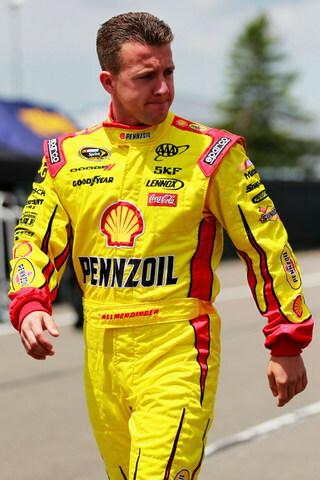 However Kenseth, who just turned 40, is at the top of his game – brilliant in winning the Daytona 500, again a solid championship contender, who could easily come out of Sunday's Pocono 400 with the tour points lead, and one of the wittiest drivers with the media. And any rival team owner would be crazy not to have him on their list to talk with. What is surprising is that Kenseth doesn't have a full-time major sponsor this season; he's had six different sponsors on the quarterpanel so far. Sponsorship money probably isn't the issue as much as driver-marketing might be. Kenseth, asked Friday about the contract talks, said he's not talking about what might be going on behind the scenes. "I've never talked about my contract in the media," Kenseth says. "Others might say it's my contract year, but I've never said that." And after what-all went on last season during Carl Edwards' contract negotiations, Kenseth might be right to try to keep the talks quiet. 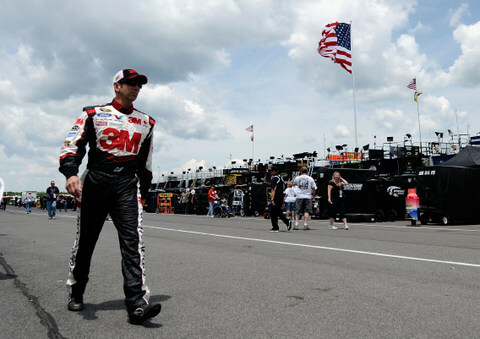 Still, the man known as NASCAR's 'Stealth Bomber' for his under-the-radar race day game plans is one of the best in the business…. And sponsorship continues to be a major issue in the NASCAR garage for many car owners. 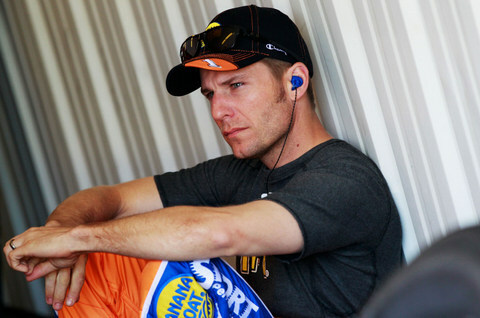 Plus, the future of Home Depot in this sport is under scrutiny. Home Depot has been one of the sport's anchor sponsors for years. Indeed the Home Depot question could be one of the crucial questions for this sport in the coming months. If the giant company decides not to keep the NASCAR marketing plan, it could affect other sponsors and potential sponsors too. Kurt Busch is home on the couch this week, serving a one-week suspension issued by NASCAR for his threatening a reporter last weekend at Dover. And Jeff Gordon agrees with NASCAR's call: "I really support (reporter) Bob Pockrass in this situation. I don't think Bob asked anything out of line; I don't think he provoked anything. "He was just following up on some things Kurt was leading to. "Bob is one of the premier writers and investigative reporters in the garage area. Nobody works harder than this guy. "If you don't like a question, don't answer it. It doesn't mean you have to go to the level that Kurt went to." In a curious, perhaps tongue-in-cheek, response to this particularly debate, Tony Stewart says he supports Busch and called the reporter a "tabloid journalist." Stewart of course has had more run-ins with Busch over the years than just about any driver in this sport. And after one episode at Daytona Stewart even reportedly punched Busch inside the NASCAR hauler, in front of NASCAR officials. Drivers have spent nearly three days now testing on Pocono Raceway's new asphalt, speeds keep increasing, yet the verdict is still mixed. Yes, the repaving job was excellent. The track is now much smoother and has plenty of grip in the groove. "But when I get out of the groove, it's been 'damage control,'" Greg Biffle says. "It will be single-lane racing, but I expected us to be able to pass. "The tunnel will be single lane; it feels narrow for just one car. "And when you bolt on new tires, the car goes slower." But nobody is running laps by side-by-side at speed yet, and drivers have yet to show how they expect to pass here. Dale Earnhardt Jr. isn't alone in anticipating a fuel mileage finish. Drivers can shift gears here (though no overdrive, for some reason), and a driver who doesn't shift can save a little gas. Shifting is at least four times a lap: on the front stretch, coming off turn one, going into turn three, and coming off turn three. And teams appear worried about transmission problems; crews spent Friday changing transmissions repeatedly. However NASCAR's rules are so tight on gearing (for some reason) that no one is expected to be able to gain any significant advantage. Tires are hard and consistent, and don't seem to fall off much. So fresh tires probably won't be much of an advantage either. However tire tactics appear mixed. AJ Allmendinger: "The tire never really comes in (during the first 10 laps) the way it does if you let it cool back down and go back out there. "It feels like you get in (turn) one it's going to be a little hairy. A lot of cars are going to be moving around because the cars feel like they're 'on top' of the track. I think that's really where the challenge is going to come from. "The biggest thing is being one-groove right now. It's going to be a fine line between getting your car free enough that it keeps turning but not too free where it chatters the right-rear." And then there are the restarts: four-wide? which lane to chose, inside or outside? 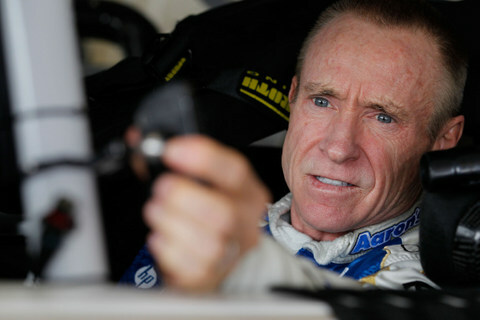 "At Phoenix, when it got repaved, we all thought that restarting on the outside was going to be brutal --- that you'd be hung out to dry," Allmendinger said. "But by the end of the race, you could argue that being on the outside of every row (for restarts) was actually a little bit better, because you get a run off the corner." Submitted by Keith Murray on Sat 06/09/2012 - 04:24. The combining the Roush and Penske engines shops will bring even more parity to the sport. At this rate there will be four engine shops left in NASCAR - one for each manufacturer. Submitted by Mike Daly on Sat 06/09/2012 - 08:47. 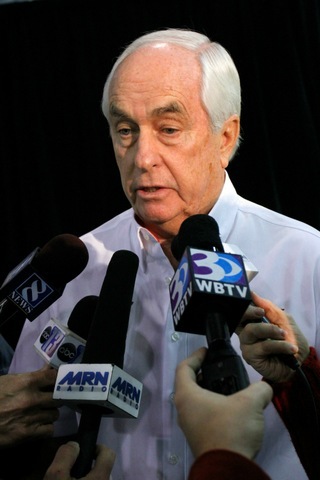 Penske buying into Roush\'s engine shop? The way the sport has gone, it might happen. Why would Michael Andretti want to own a NASCAR team? And has there been any move by Dodge to recruit teams, such as RPM?